This year is an important milestone for all of the Pharmacare Hawaii ‘ohana. 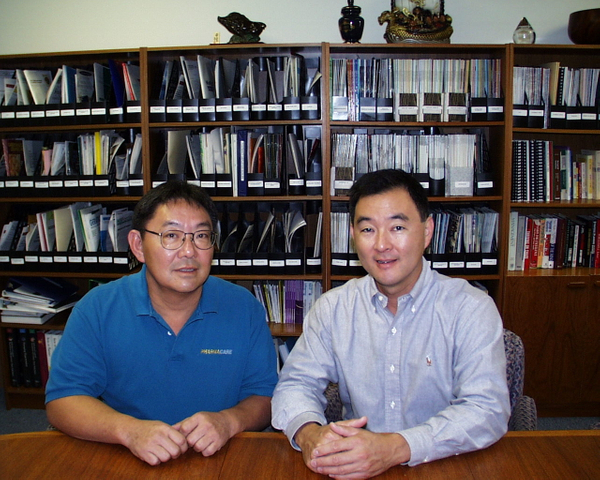 On September 16, 1959, Naonobu Yoshino and Richard Yoshino, the grandfather and father of our President & CEO Byron Yoshino, and others established Value Drug, Ltd. It was a major step forward for the company that had originally began 90 years ago as Yoshino Drug Store at the corner of King and Kaheka Streets in April 1927. Hawaii had just become a State a month earlier, and Value Drug was committed to meeting the evolving pharmaceutical needs of our islands. The entrepreneurial spirit present from the early days of the company has been a part of the company’s DNA ever since and continues to propel the company forward. Pharmacare Hawaii has experienced several significant developments over the past decades. Pharmacare earned the distinction of becoming the first company in Hawaii to expand into home infusion services in 1983, providing patients IV treatment outside of the hospital. This was a game changer in Hawaii’s business landscape and set the bar for highly personalized care at home, so that patients could continue their independence and live at home with their families. Pharmacare experienced the most growth from 1983 to 2010, adding eight additional pharmacies during that 27-year period. This was due to the visionary leadership of Byron and his wife Kim, and Rick Sakurada and his wife Jane, who successfully diversified the services of the company to include IV therapy, nutritional & enteral support, and long-term care pharmacy services. In the 1990s, Pharmacare celebrated another “first” for Hawaii. It became the first independent Specialty Pharmacy, contracted by HMSA to dispense the Specialty biologic drug Enbrel to treat chronic conditions such as rheumatoid arthritis. Prior to this milestone, only large national pharmacies were allowed to dispense this medication. As we enter our 90th year of service since our early roots with Yoshino Drug Store, the Pharmacare Hawaii ‘ohana continues to demonstrate its commitment to provide a place for well-being and sound advice for our customers. We are proud of our deep roots in the islands and our plans for the future. With this in mind, we are in the process of rebranding Pharmacare to celebrate our 90-year history, core values, and evolution of Pharmacare. In this rebrand, we will elevate our profile to keep pace with the changing role of the pharmacist in today’s health care environment. In addition to a new logo, colors and uniforms, we are also re-establishing our commitment to you, our community, to deliver services that place your health first. Although a lot has changed since our beginning in 1927, our core focus remains the same: To provide Hawaii residents with quality care delivered the right way. Stay tuned, the best is yet to come.